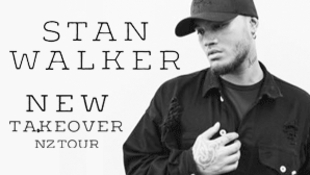 Along with former dancers from Paris Goebal's dance company Stan Walker is set to wow New Zealand audiences. Featuring all of his best-known hits this show includes dancers from The Royal Family dance company. Special guest will be Melbourne-based singer Fatai who was a semi-finalist on the first series of The Voice Australia and released her first debut single last year. Tickets are $30 for children and from $65 for adults.